Sports betting odds come in the form of a Point Spread, Money Line and a Game Total. A betting line is a posted number that the online Sports book posts for each game in a certain sport. The betting line will have different wager options within the betting line. Bookmakers will post odds on who they think will win the game. 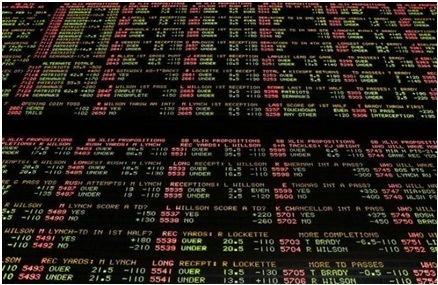 Solid value could be gained by knowing how to read sport betting lines. On every sports betting line, that is not t posted at EVEN, there is a favorite and an underdog. Favorites always carry negative numbers while underdogs always carry positive numbers. The Bears at -7 and -330 are the favorites while the Lions at +7 and +270 are the underdogs. The spread betting lines come with additional odds that are generally -110 but this number will always fluctuate. The Bears at -7 (-120) odds means you have to bet 120 units to earn a 100 unit return. Conversely, if the Lions have +7 (+120) odds, a 100 unit bet would pay a 120 unit return. These secondary odds are used in the same way with game total betting lines. On the money line, neither squad receives any points but the bookies adjust the possible winnings to the amount bet. The Bears with -330 money line odds means a 330 unit would return a 100 unit profit. On the other side of the coin, the Lions with +270 money line odds would return 270 units on a 100 unit bet. Knowing how to read and react to sports betting odds is a staple item in the arsenal of any successful and profitable sports handicapper.